Don’t let anyone tell you that this race doesn’t mean anything. Don’t let them tell you that these drivers and teams aren’t giving their absolute all to try and win what has quickly become one of the ‘majors’ on the world GT racing calendar. The events in the closing stages of the 2017 race are proof positive of that: Shane van Gisbergen throwing everything he had at their rival Ferrari, first in defense and then in attack when Whincup wrestled the lead away.. and then an unfortunate ending as the car ended up in the concrete on the exit of the dipper. 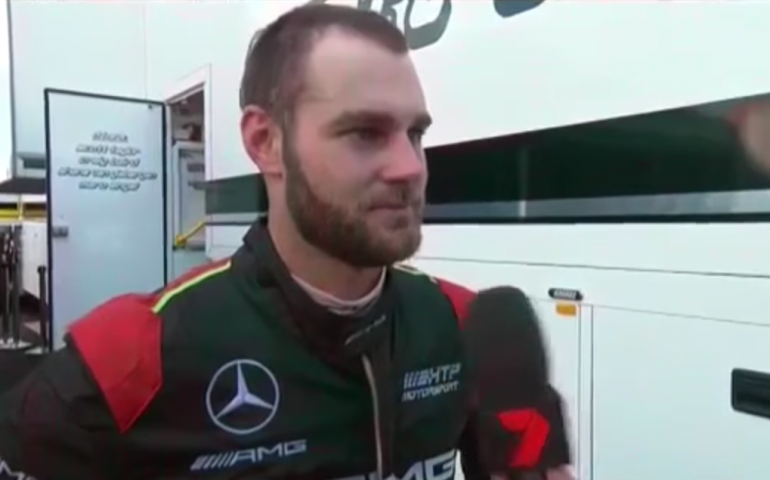 What happened next was one of the most remarkable moments in Bathurst 12 Hour history; SVG’s co-driver Maro Engel in a particularly fired-up mood and an interview with the Seven Network’s Mark Beretta that was rife with tension. No follow-up question was needed. Agree with what he said or not, Maro was just one of so many people deeply passionate about winning the Bathurst 12 Hour – in every category and every class. He was suitably caught up in the emotion of another dramatic Bathurst showdown like everyone there. It means something to win this race, and everyone gives their absolute all. And that’s one of the reasons it is so special.